As one of the world’s largest energy exporters, Norway advances the energy security of consuming countries. 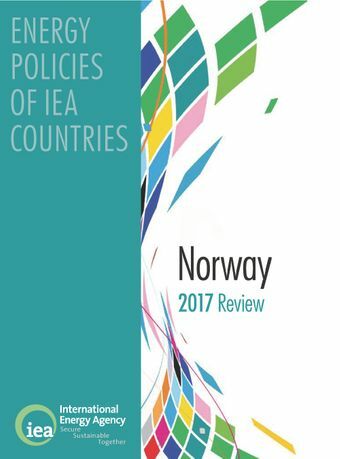 And at the same time, as a global advocate for climate change mitigation, Norway is committed to environmental sustainability and climate policy.The latest review of Norway’s energy policies by the International Energy Agency finds that the country continues to manage its significant hydrocarbon resources and revenues in a sustainable way, and remains a reliable supplier of oil and gas. But as the world looks to cut its reliance on fossil fuels, Norway’s government should also consider measures to prepare for a future with lower oil and gas revenues.Norway’s large hydropower generation is another valuable energy asset particularly at a time when European electricity markets are integrating and variable renewable energy generation is growing. More cross-border connections are coming online and will help realise the full potential of hydropower for balancing variations in demand and supply in the regional market. This will also improve electricity security in Norway in times of low hydropower availability. This review looks at how market-based investments in low-carbon generating capacity can be encouraged by changes in taxation and subsidy systems.In order to meet its ambitious targets to reduce greenhouse gas emissions, this review finds that Norway needs to step up efforts at home. The IEA encourages the government to spell out more in detail how the emissions reduction targets will be met. There is a major potential to do so in transportation, oil and gas production and manufacturing. In this context, a high level of public spending on energy RD&D and strong efforts to develop carbon capture and storage are very welcome.